The DeviceLock® DLP Suite provides both contextual and content-based control for maximum data leak prevention at minimum upfront and total cost of ownership. Its multi-layered inspection and interception engine provides fine-grained control over a full range of data leakage pathways at the context level. For further confidence that no sensitive data is escaping, content analysis and filtering can be applied to endpoint data exchanges with removable media and PnP devices, as well as with the network. With DeviceLock, security administrators can precisely match user rights to job function with regard to transferring, receiving and storing data on corporate computers. The resulting secure computing environment allows all legitimate users’ actions to proceed unimpeded while blocking any inadvertent or deliberate attempts to perform operations outside of preset bounds. 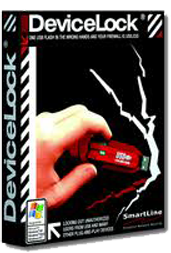 Get DeviceLock Endpoint DLP Suite NOW!